You’ve taken the time to design a budget and learned to stay with it as you strive toward your goals. At first it may have seemed a bit constricting yet you have been creative and determined in making it work. But what happens when you get hit with cost increases that you may have little control over? If your budget is tight, increases in price on necessities, like prescription drugs, gasoline, or changes in minimum monthly payments for credit cards or mortgages, can create new problems quickly. 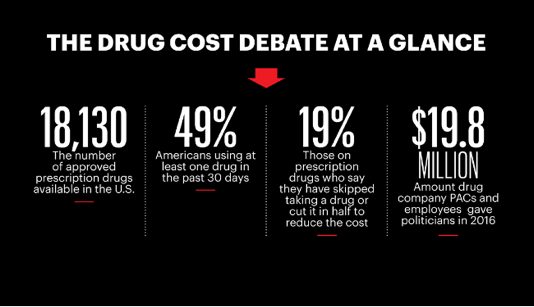 A recently released AARP report examined the continuous rise in drug costs. These numbers speak for themselves. What can you do? First, talk to your doctor. Ask questions. Is there a generic equivalent that you may be able to use? 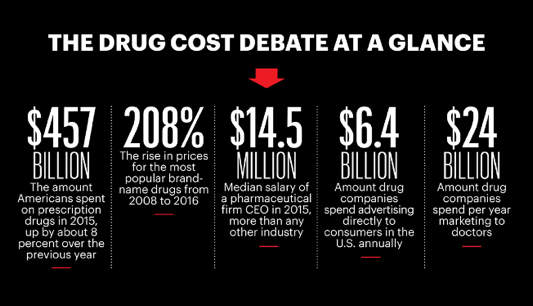 In general, the generic drugs are less expensive while a comparison of price increases between brand-names and generic drugs shows that the latter rose less than one percent. Now, while prescription drug price increases may affect only specific folks, the increases we continue to see in gas prices at the pump can directly or indirectly affect all of us and greatly impact already precarious budgets. Even if you do not own a vehicle, goods and services dependent on gasoline fuel transportation may be forced to pass on these increases in pricing to consumers. At this point in your financial development it is imperative to take the time to learn as many ways as possible to stretch your budgeting dollar. There are some simple ideas for reducing your gas bill. First, get out your owner’s manual and read it. Keep your tires inflated to the recommended pressure level. Tires that are low literally drag across the ground eating up your precious fuel. Check your oil and fluids, get a tune up. A properly functioning vehicle will suffer less wear, tear, or strain and be more fuel efficient. Clean out the trunk and back seat, keeping only those items for your emergency kit. Carrying extra weight in your vehicle forces you to burn more gas. Need more ideas? Be aware of driving behaviors that eat up your fuel, such as driving at high speeds (over 55 mph you are using more fuel per mile), fast acceleration, quick stops, driving with your foot resting on the break pedal, revving your engine, or using your air conditioning at low speeds or when stuck in traffic. You probably see these behaviors all around you – but let the other guy pay for it at the pump. Organize your trip or route, even when ‘just’ running errands. Driving back and forth across town will drain your fuel tank quicker than one circuitous route. Finally, consider walking. It’s good for you physically and it can save you money. Want more examples? At the beginning of a calendar year, many consumers are notified of payment increases for mortgages. For mortgages with escrow accounts, payments may increase due to greater costs in insurance charges or taxes. In addition, if the home owner has an adjustable rate mortgage (ARM) the monthly payment could potentially increase every six months depending on contract time frames and the predetermined index link to market rates. If the increase in your mortgage payment is truly restricting your budget it may be time to research refinancing while the rates are still relatively low. Remember though, a fixed rate will be slightly higher than an ARM at the outset, but you must consider just how high an ARM will ultimately go now that rates are beginning to rise. Keep an eye on your credit card minimum payments. Missing a payment is the easiest way for your credit score to sink, and it is a long way back up to good credit. Consult the Office of the Comptroller of the Currency for answers about Credit Card Payments and Late Payments so you can stay afloat. If your budget allows, now is the time to pay down those credit card balances as much as possible. If your budget is unable to withstand such increases, consider contacting a certified credit counselor for ideas on adjusting your budget or other options available, such as establishing a plan to pay off your debt through a debt management program. Finally, keep your chin up. You are not alone in your struggles to make ends meet in your budget. Get as much information as possible about changes you can make and control to meet the challenges of changes you may not control.